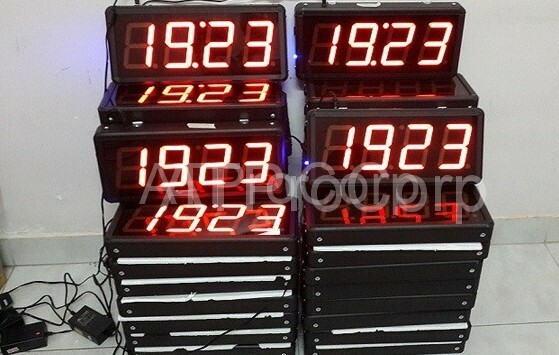 What is the Synchronous Clock System used for? – Synchronize time: date, hour, minute, seconds of the clock in the system. 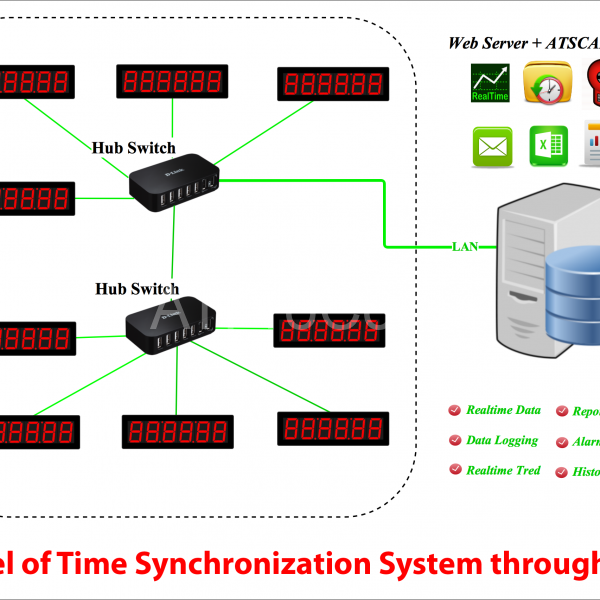 – Synchronize alarms for all clocks in the system. – Synchronous time according to international time. 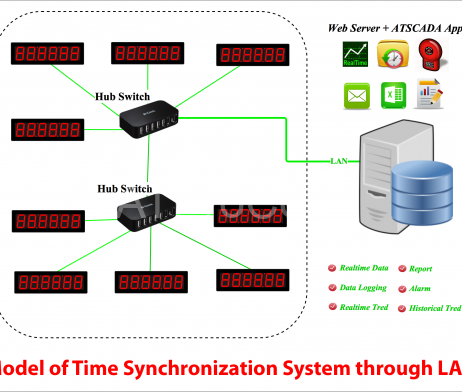 – Can synchronize 1024 clocks in the same network. 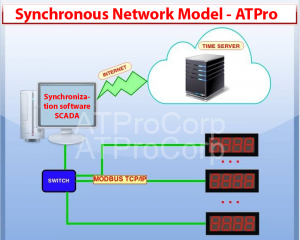 – Time synchronization over Ethernet (ethernet) has a high speed of communication and reliability, 10,000 times more than traditional Rs485 or Rs232. 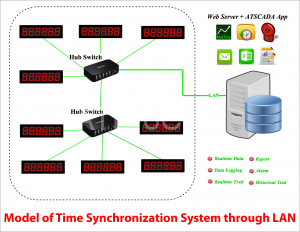 You can monitor all clocks through the SCADA software. 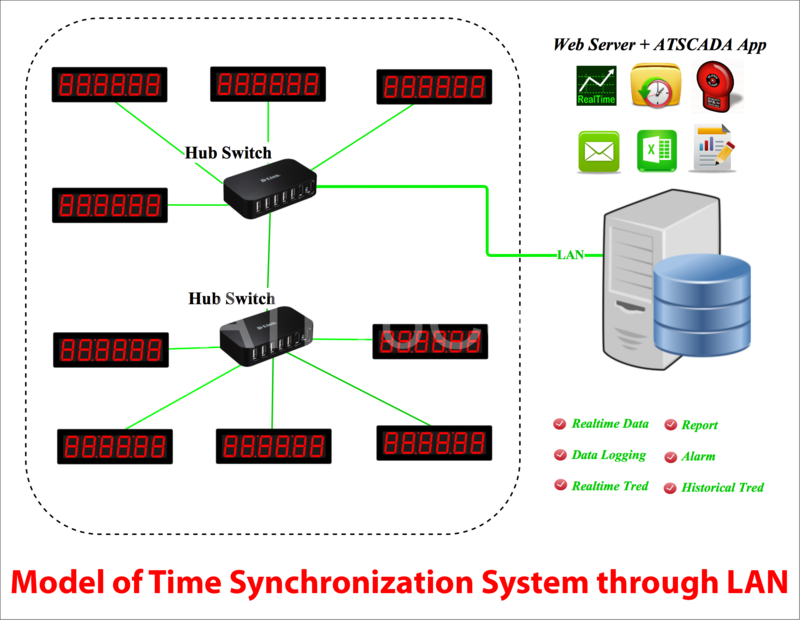 If you are interested in Synchronous Clock System, please contact the hotline for assistance.